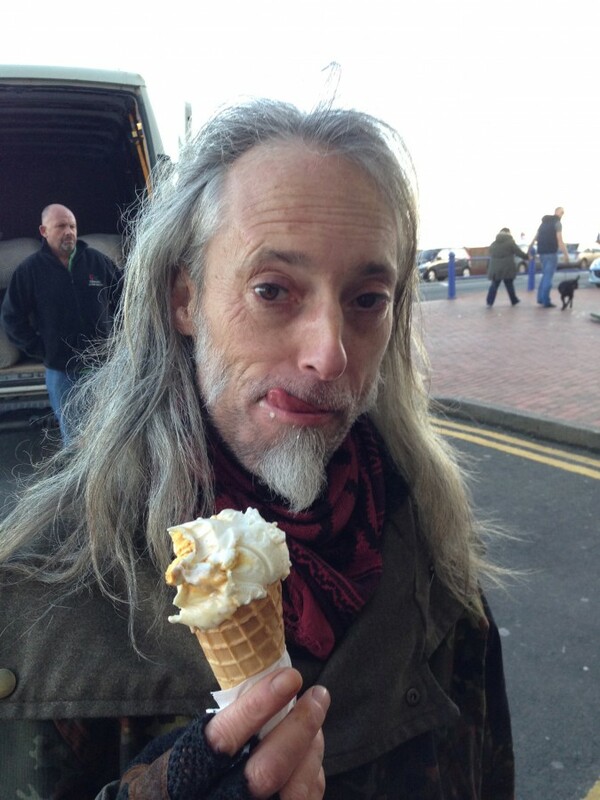 Our friend Andy&Ya-Hsin took us to Eastbourne in East Sussex. 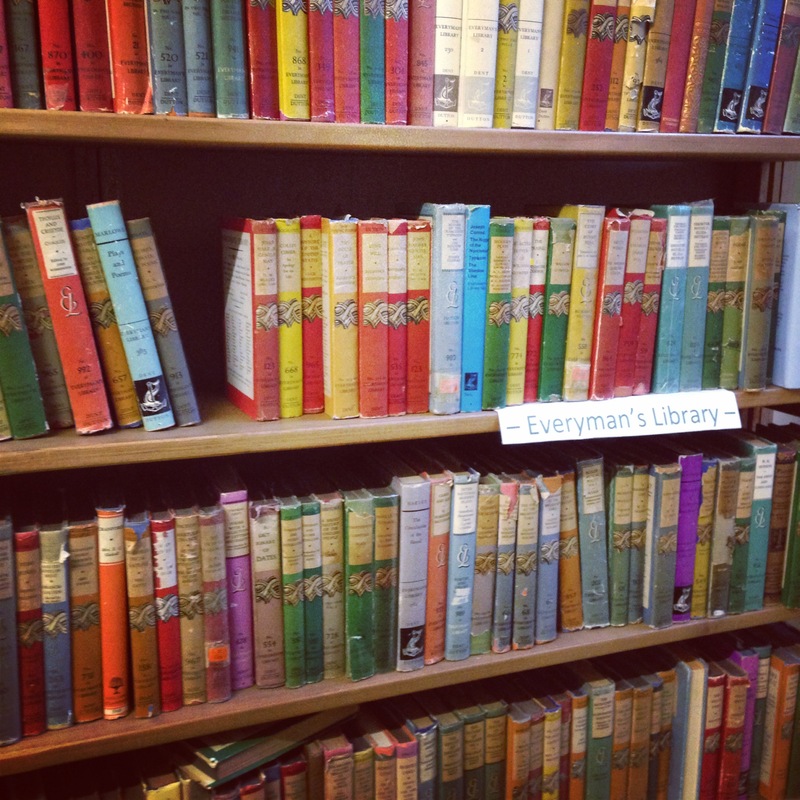 On our way to find a fish&chips we popped in a really good secondhand book shop called “TOME”. Then I found a book about Marmite! 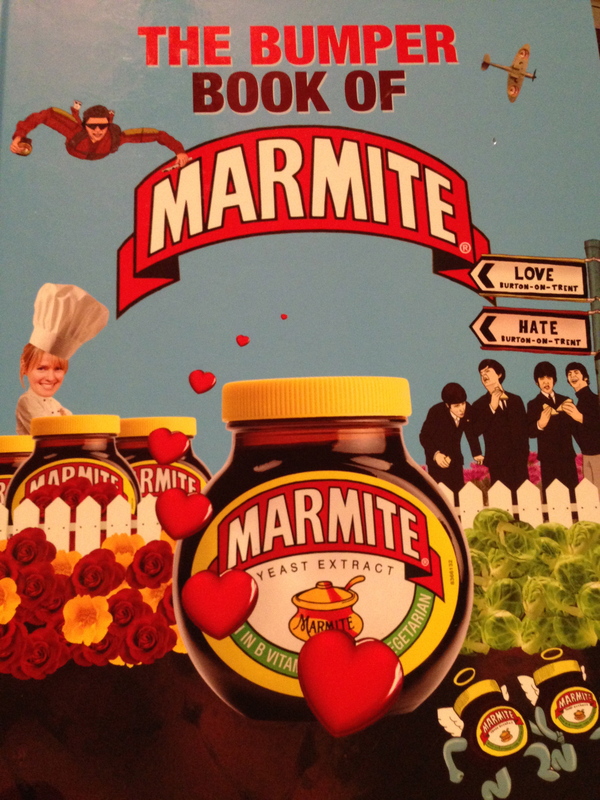 I don’t fancy Marmite at all but my friend in Japan who is my pilates instructor as well loves it very much. So I thought it might be a good present for her. And I also liked the cover design of this book. Vivienne told me she uses Marmite as a stock for making beetroot soup. 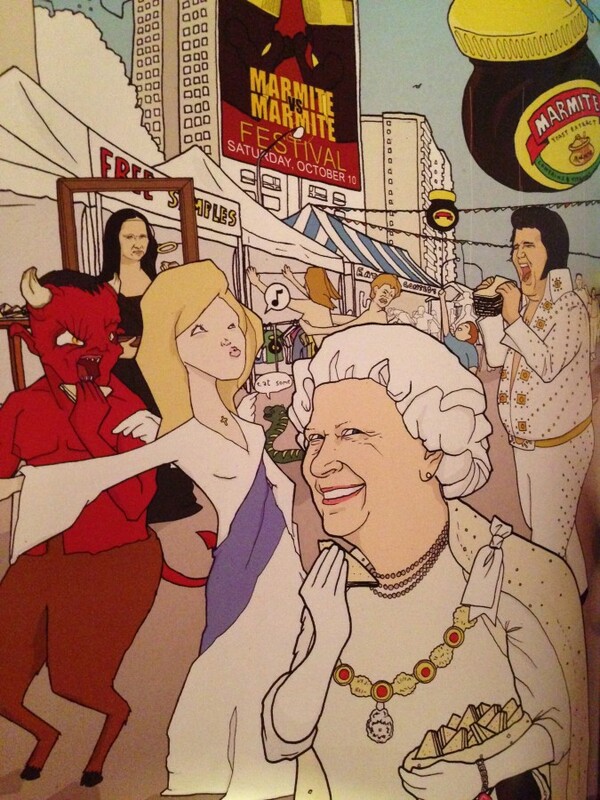 According to this book, Queen Elizabeth seems to like Marmite sandwiches. 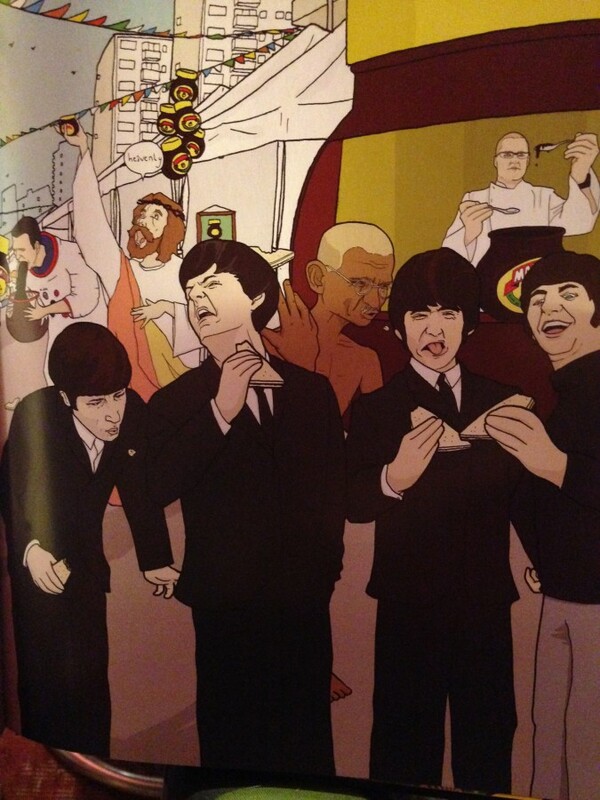 Paul McCartney dosen’t seem to like it at all. 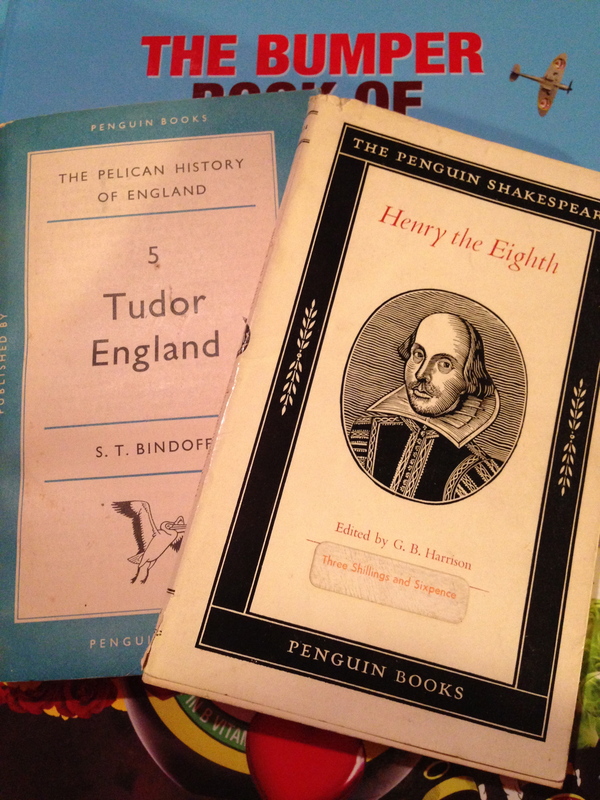 Apart from the Marmite book, we bought Henry the 8th (who I’m the most interested in out of the British Royal family) by William Shakespeare and Tudor England. The Japanese Royal family doesn’t have a surname but the British Royal family has, I hadn’t known this until Ben told me. 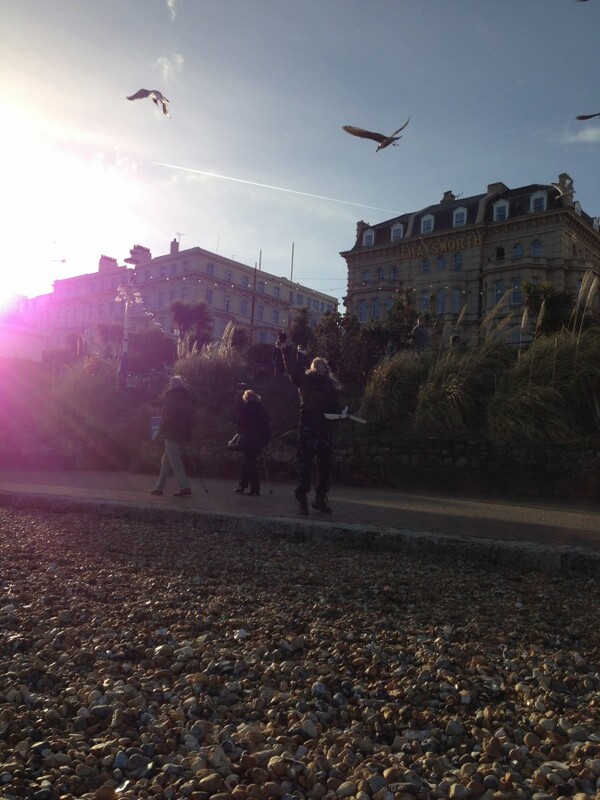 Uncle Ben threw his leftover chips in the air for the seagulls. 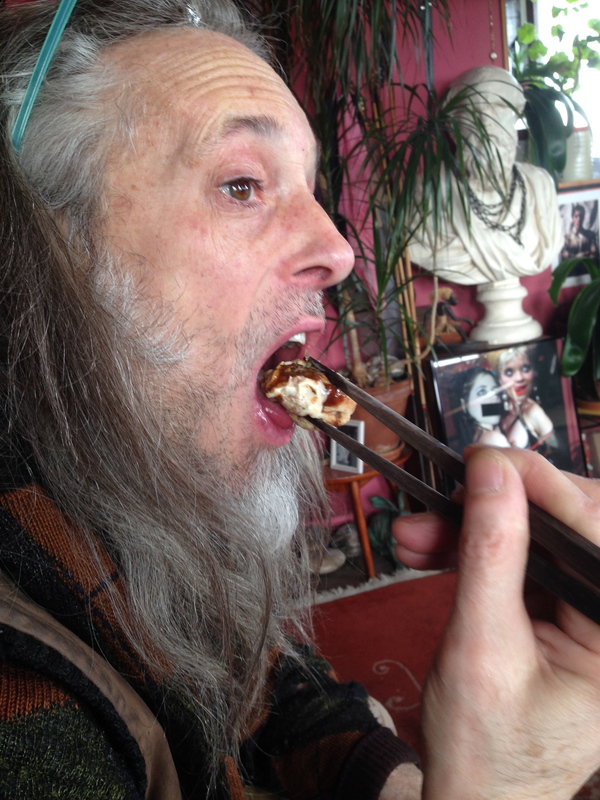 My lovely husband Benjamin eating ice cream. I was wondering how many times I say ” Lovely! ” in 1 day, so I took photos every time I did. 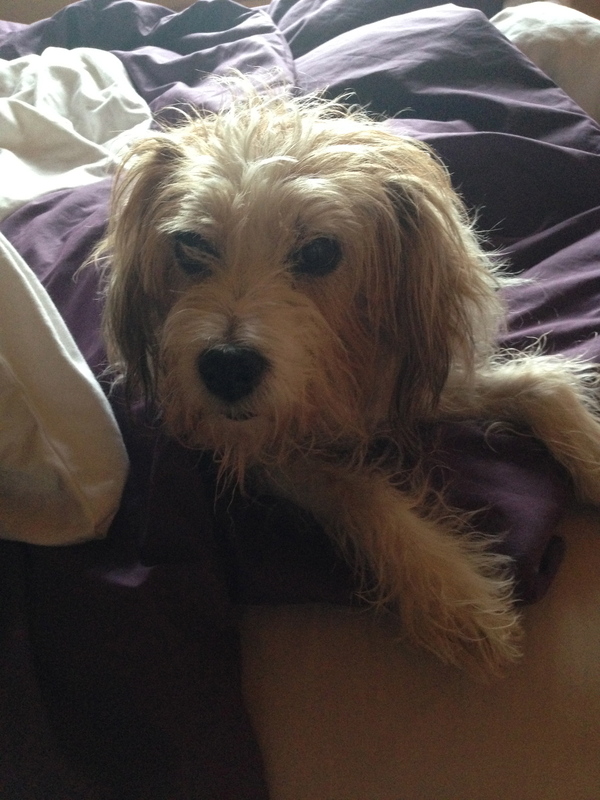 Start off with Jackie after we got out of the bed and she looked very cozy staying there, lovely! Jackie and I popped in the World’s end shop in the morning and Setsuyo who is from Osaka and working there made Takoyaki ( a traditional Osaka food) last night and she gave them to me, lovely! 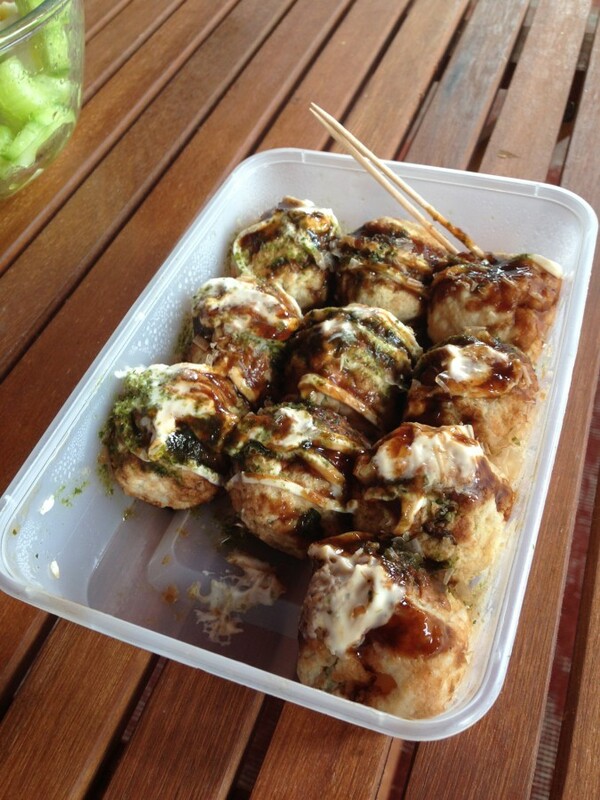 And the Takoyaki was our lunch, Ben said ” Very nice” every piece he ate, lovely! I joined in with Ben’s work in Brick Lane, I was waiting in the car while he popped into the bagel shop. 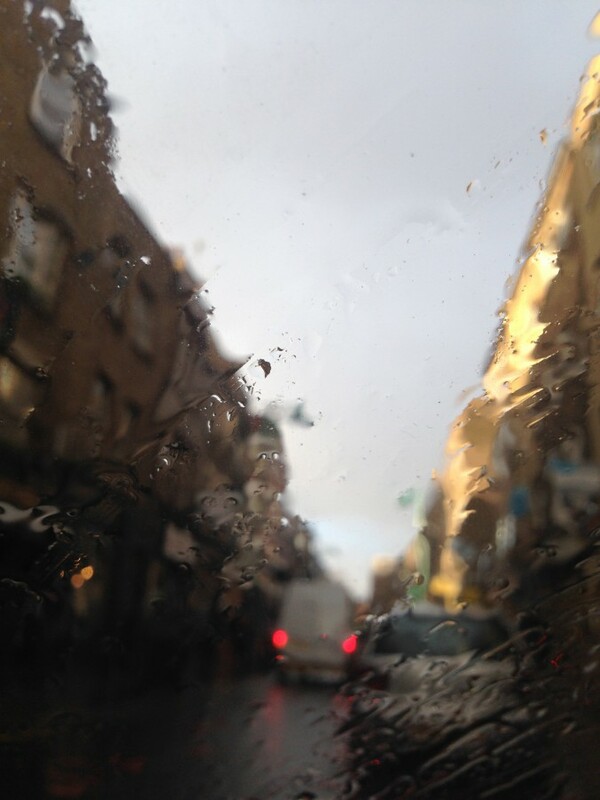 It started to rain heavily suddenly and the front glass of the car looked beautiful with the raindrops, lovely! 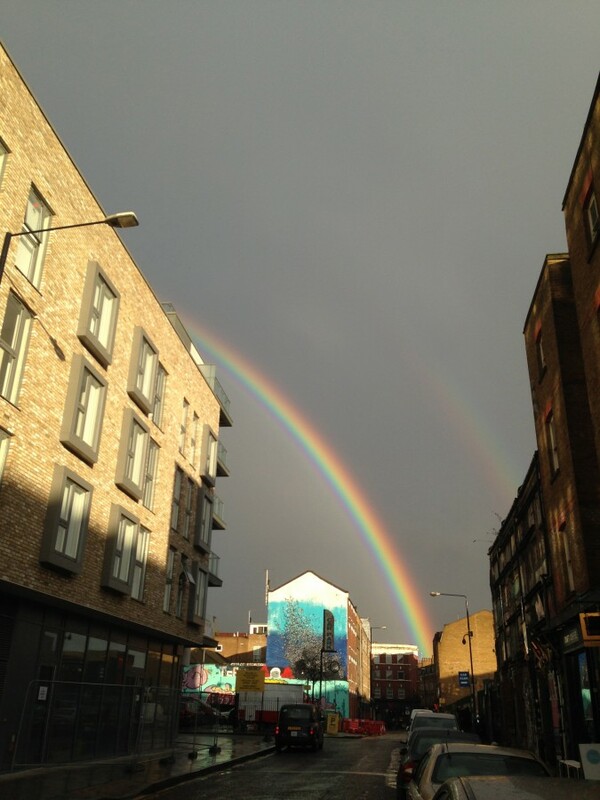 After the rain, there were the brightest beautiful 2 rainbows, lovely! 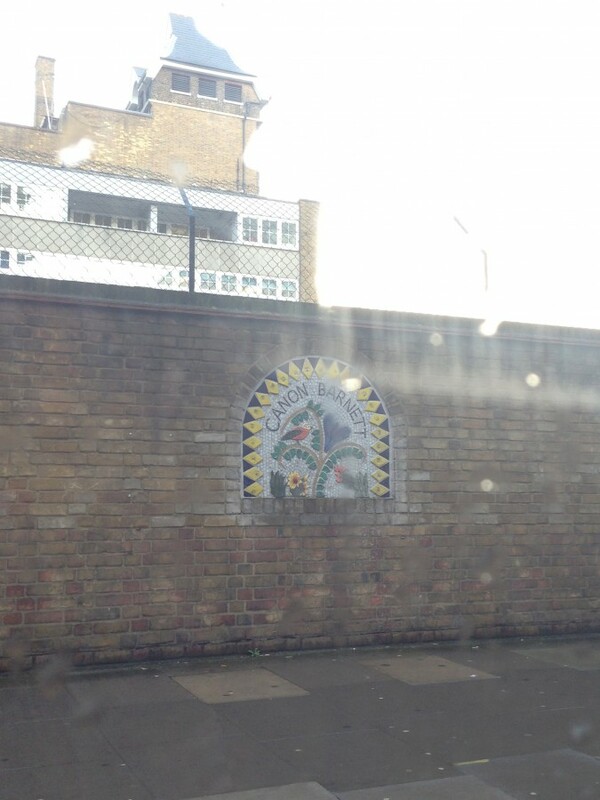 The tile art works on the wall surrounded by a school, lovely! 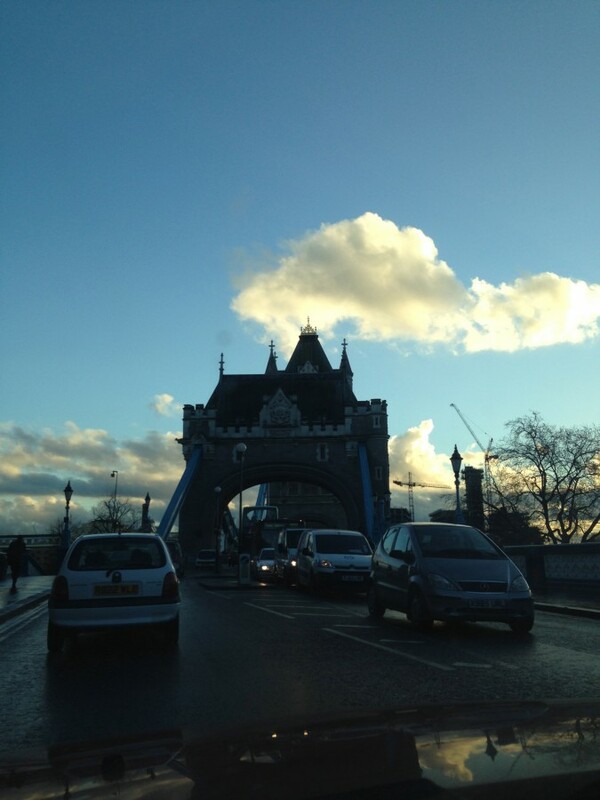 The tower bridge and whitey clouds, lovely! 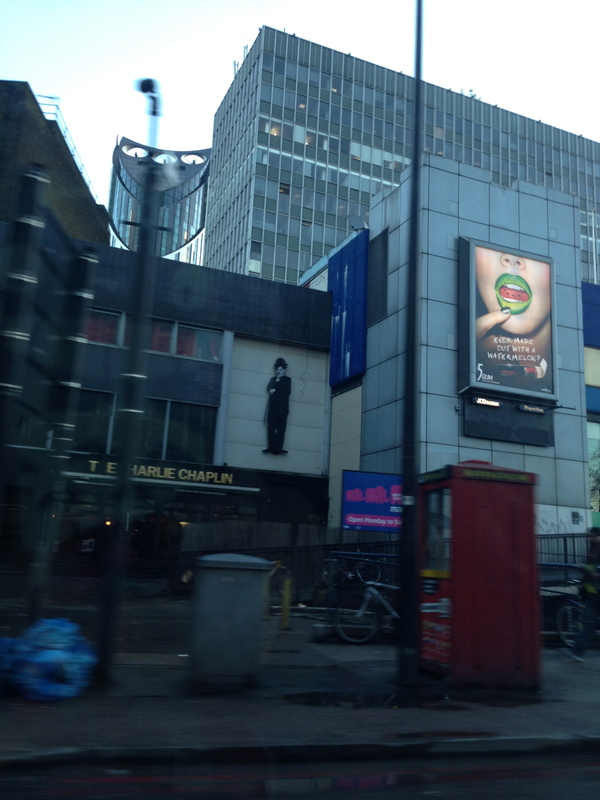 Charlie Chaplin in Elephant&Castle and the advertisement of the watermelon makeup, lovely! 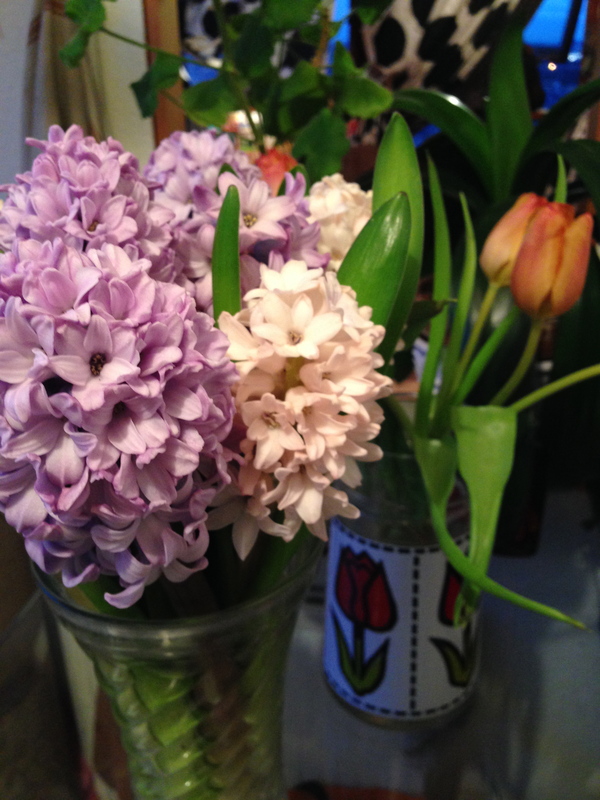 Pink and pale purple hyacinths and orange tulips at home, lovely! 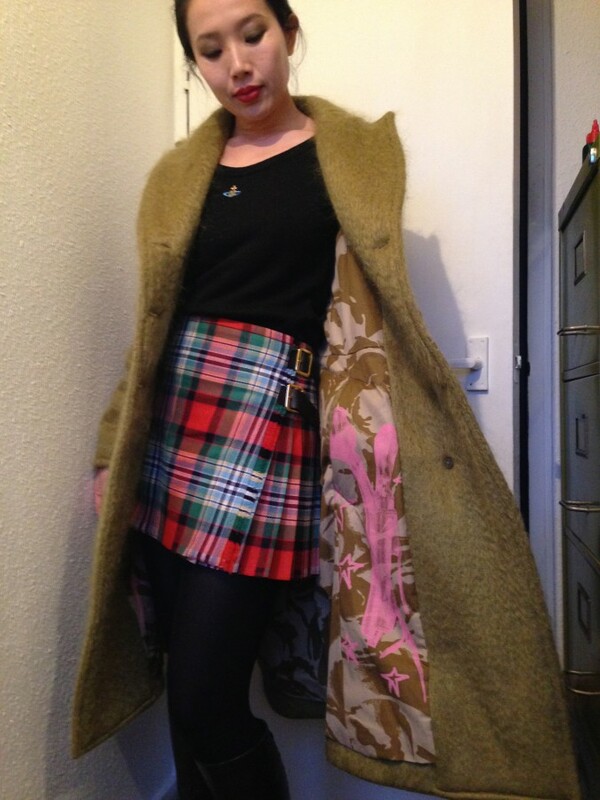 The Ben Westwood label new angora wool jacket and the new kilt from World’s end shop, lovely! The Eastwood coat in mohair which was my birthday present from Ben. Very light and warm, lovely! 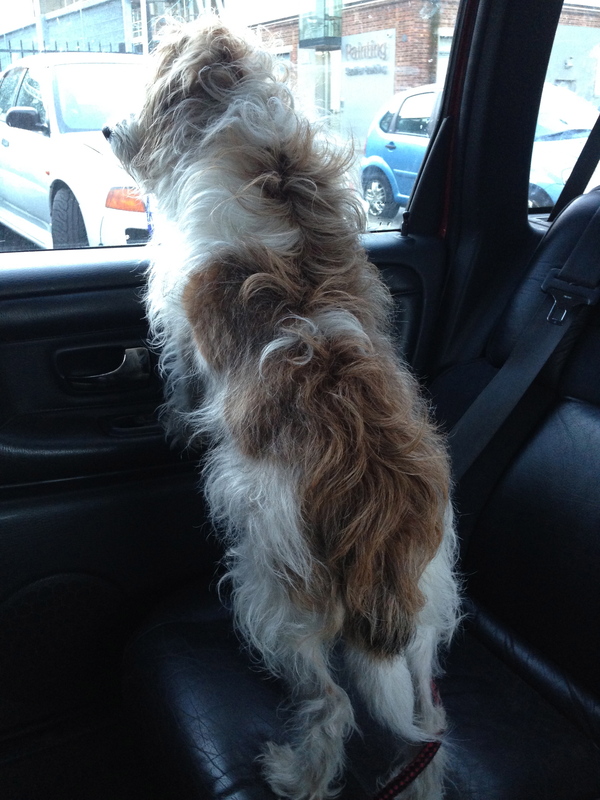 Jackie was longing for Ben, lovely! Sum up, there were 12 “lovely’s!” from 10am to 4pm today. Lovely!